Now you can get Dell Children’s Emergency Care closer to home. Ascension Providence follows the Dell Children’s Emergency Care steps for all ER patients that are children. When needed, Ascension Providence ER staff are able to talk to Dell Children’s emergency medicine doctors and hospitalists through telemedicine tools for your child’s care. Dell Children’s ER patients have a waiting room and exam areas made just for kids and their parents. Ascension Providence ER staff are trained by nurses and Child Life specialists from Dell Children’s Medical Center to learn bedside skills to help reduce stress that children and families can feel during illness, injury, or being in a hospital. 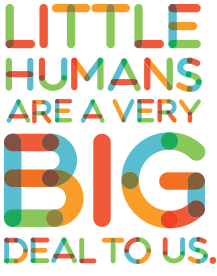 At Dell Children’s Medical Center of Central Texas, we know that little humans don’t just need a little care. They need a lot of it. That’s why Dell Children’s has the most pediatric specialists and specialty programs in our service area. Whether it’s pediatric doctors for cancer, heart, brain or spine, your little human always has access to the care they need, so they can get back to being kids. Online scheduling is available for your child’s ER visit at Ascension Providence Health Center in Waco. At DellChildrensER.com, you can hold your place in line and wait at home. Arrive and be seen within 15 minutes of your scheduled time. Remember, DellChildrensER.com is for mini emergencies only. If your child is experiencing a major emergency, get to the ER ASAP or dial 9-1-1.